Quickly following the success of the first Waters iPad application, the second version of the app is now available in the app store. The first version contained three Selector Tool capabilities for vials, filters, and plates. 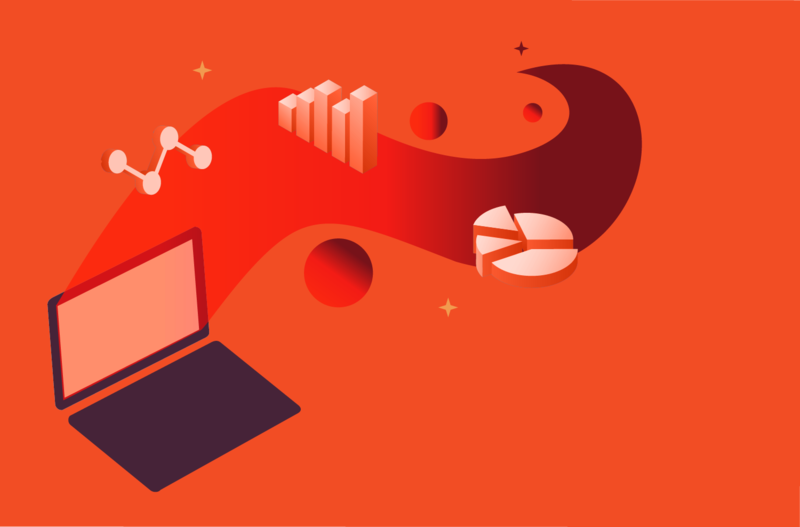 These capabilities allow users to intuitively navigate to the products they need, while providing the sales team with a powerful way to display the Waters brand. 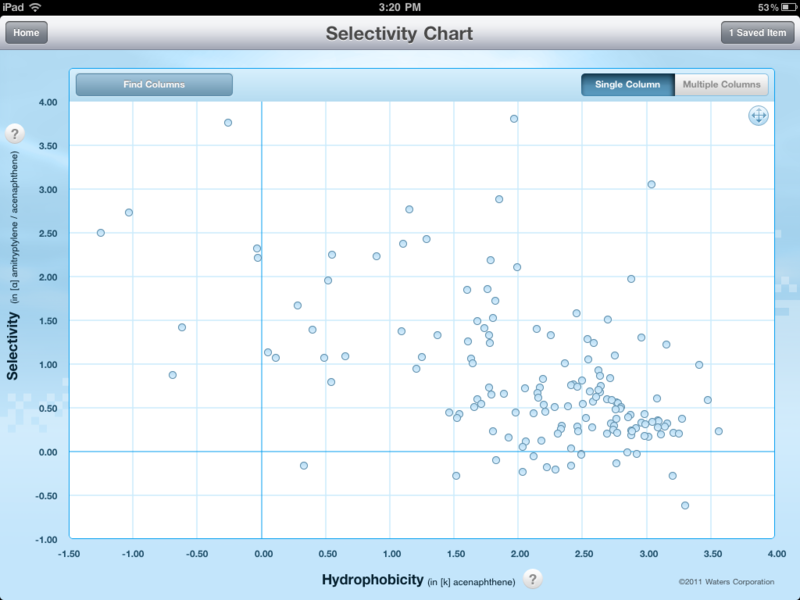 The next generation Waters iPad app includes all the same great features and functionality from the first release, but now includes enhancements and an all new Selectivity Chart capability. Waters customers and the Waters sales team can use a “map” interface to find and research single or multiple columns. The Selectivity Chart provides users with the ability to build custom kits, view Waters kits, and then compare the kits side by side. 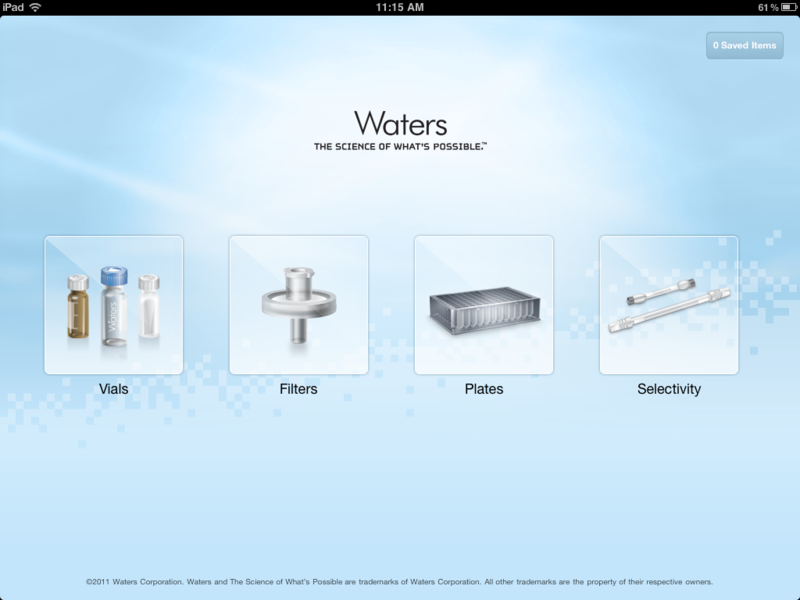 Additional capabilities for Waters iPad are already being discussed and could be available in 2012.